What are the makeup products that you wear every single day without fail? Mine would be eyebrow pencil, mascara, eyeliner and blusher. I'm fortunate enough that I can skip concealer whenever I am in a rush but if I don't draw my eyebrows then I look like an alien, if I don't line my eyes and wear mascara then you wouldn't be able to see my eyes and if I don't wear a blusher then I literally look like the walking dead. 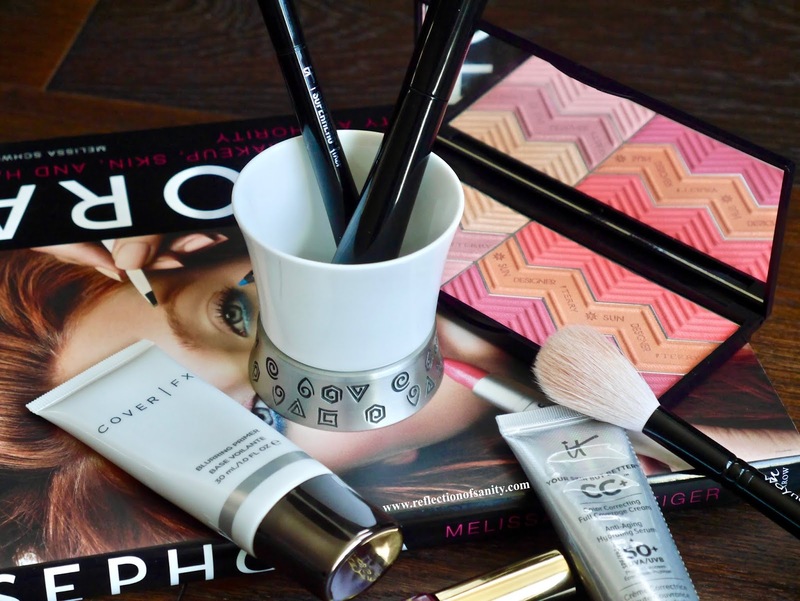 And today I'm sharing two products that I have been trialling for the past month...not going to lie, one is love at first use and the other, well, the other is a work in progress. There are eyeliners and then there is the eyeliner and this is THE eyeliner for me. 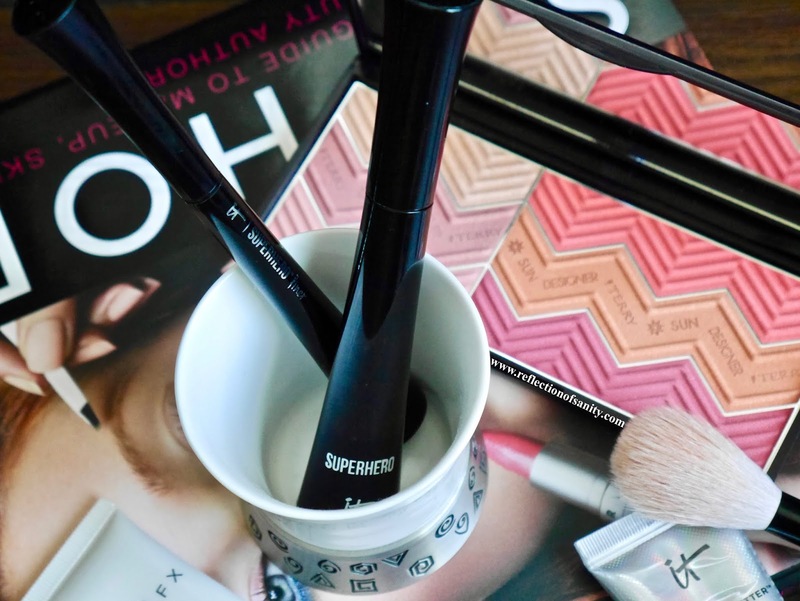 Over the years I have bought and tested so many liquid eyeliners and while I have come across many good ones, none have impressed me as much as Superhero Liner*. 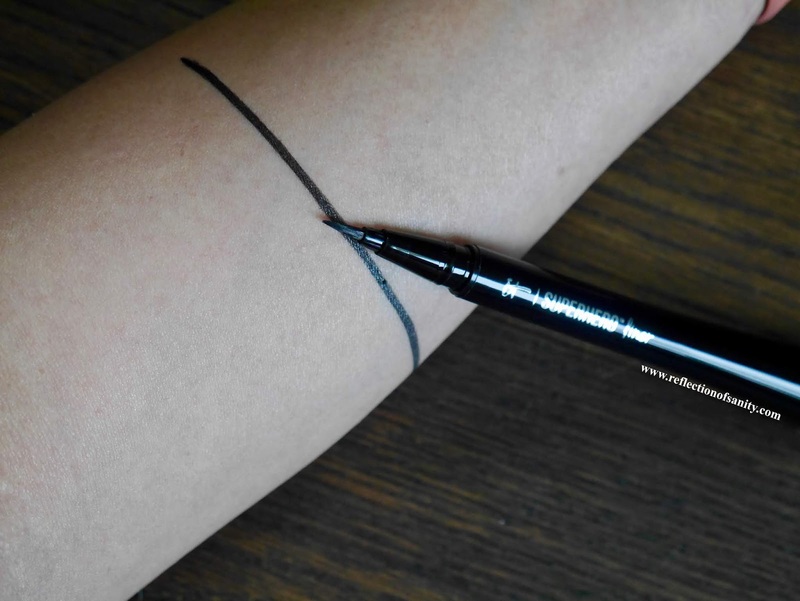 It has a very fine brush nib similar to Kat Von D Tattoo liner and I can easily draw a light or dark line by controlling how much pressure I apply. What makes me love this eye liner so much is the fact it doesn't smudge, doesn't fade and looks as good as when I first applied it after an astounding 15+ hours! I applied it at 8:00am and it was still going on strong when I finally arrived back home and removed it and 11:50pm. It also doesn't stick to my eyelash curler which is the biggest problem I have with liquid eyeliners. Application is a breeze, it glides smoothly and I can easily draw the most precise wing with it. Finally verdict? 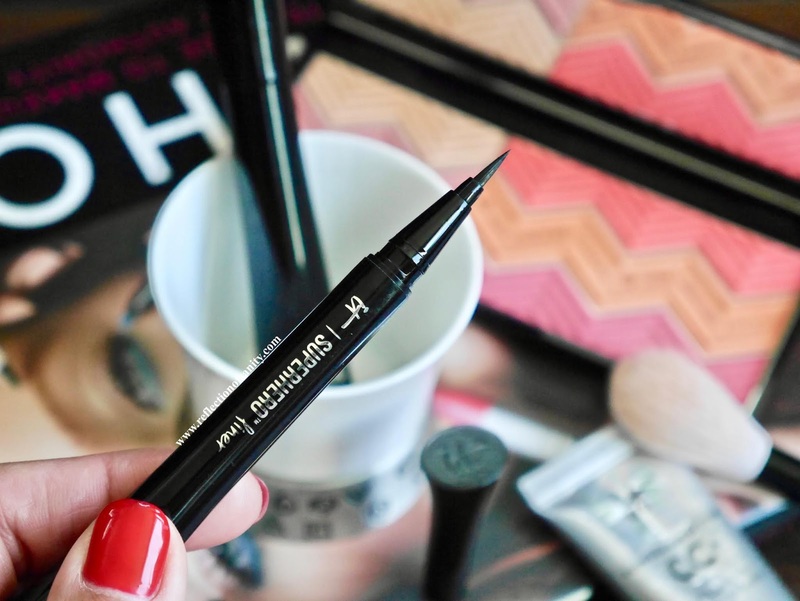 This might just be my holy grail liquid eye liner and I will forever repurchase it. I was most excited to try this mascara because so many swear by this and some even claim that it's holy grail status. Well, it's definitely not holy grail status to me...I don't even like it that much to be honest. 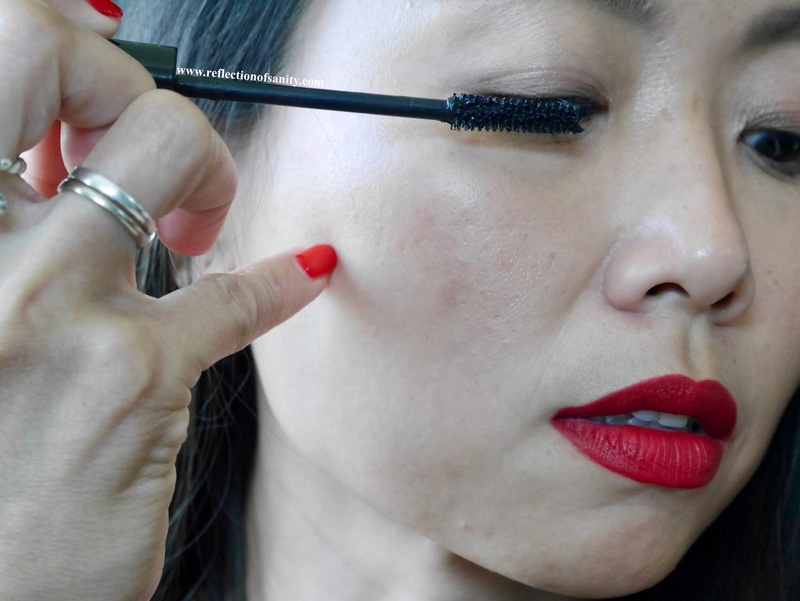 This mascara has a natural bristle tapered wand which makes it amazing to get all my tiny weeny little lashes, even the ones on the inner corner of my eyes. It's also one of the blackest mascara that I have ever tried, one coat and it instantly defines and volumizes my lashes. The wand also separates my lashes beautifully, fanning them out and giveing the impression that they are very long and full. Well for starters, it doesn't hold the curl which is a huge no no for me. On top of that this mascara will start to clump when I try to layer a second coat. Ohh, and it also flakes like crazy on me...sigh. Final verdict? Unfortunately this mascara is a pass for me. 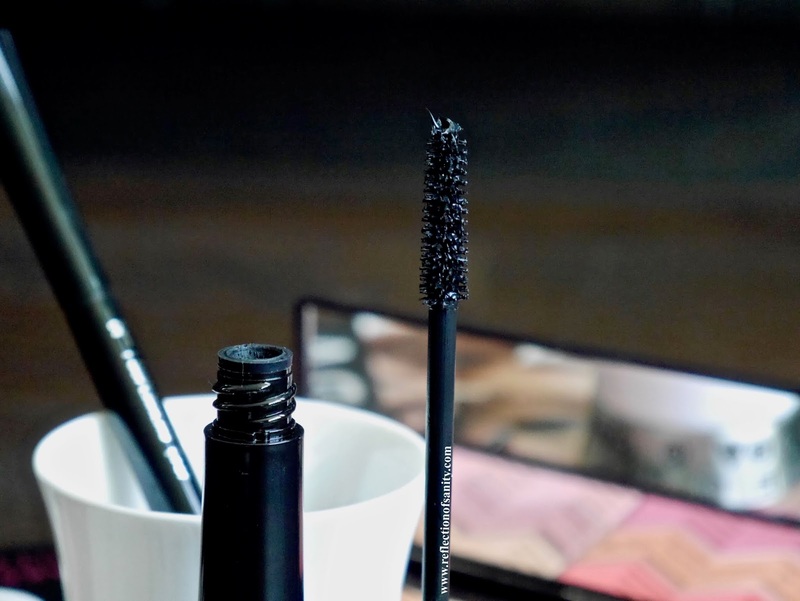 I don't mind it when I layer it on top of another mascara, it's an extra step that I am not too fond of and I have other mascaras that work great on their own. That said, mascara is a very personal thing, there is no one mascara that works for everyone so I recommend getting a sample of this mascara to try before committing to a full size. 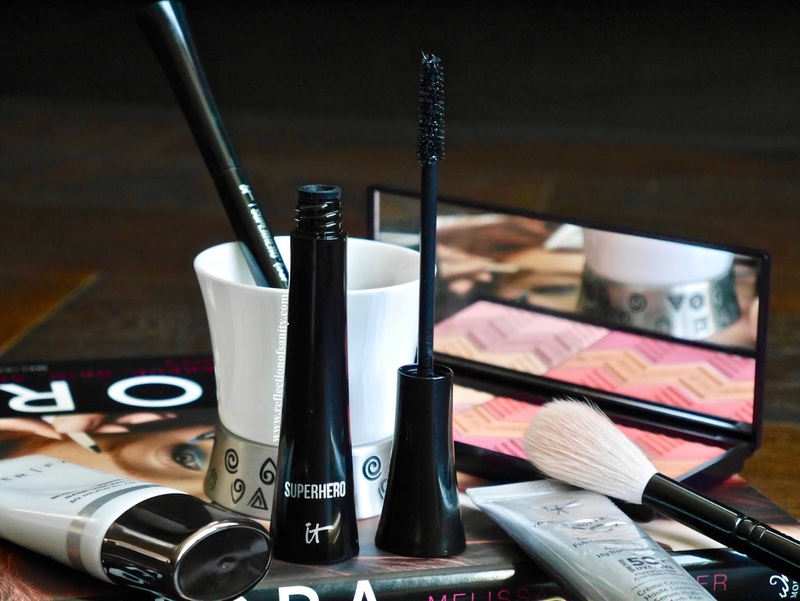 Have you tried IT Cosmetics Superhero Mascara or Superhero Liner?